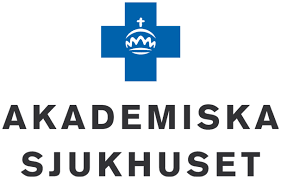 A digital interactive platform to monitor and evaluate treatments in healthcare. Medipal is an interactive tool – a system that makes it possible to ask questions via mobile phones and get fast and structured answers in real time. The purpose of Medipal is to improve the interaction between patients and healthcare professionals. Medipal is the system that enables health professionals to act proactively, work with structured questions and answers, while simplifying administration. The system can be used to follow up on symptoms and treatments or other variables for each individual patient, contributing to streamlined and quality assured care input. The results of the patient’s aggregated data – in the form of graphs and diagrams – are visibly presented to health professionals and can be easily analysed. Medipal leads to increased participation and compliance from the patient. By the continuous feedback from the patient on the effects of the treatment, healthcare professionals are better able to optimize, individualise and evaluate the treatment. The benefits of Medipal can occur on many fronts, such as reduced treatment time, better medical quality, improved knowledge of treatments, and increased compliance and perceived better quality of care by the patients, while the administrative work is simplified, and the work environment is improved for the health and social care staff. From a health economic perspective, MEDIPAL provides increased societal benefit by the faster reception of the right treatment. With Medipal’s aggregated data, you can also, as a caregiver, produce statistics, not only on an individual basis, but also at group level and by comparing patient data with a particular or different treatments. Medipal can also be used as a tool for research. Medipal is easy to use, saves time and money, provides increased patient benefit and better quality of care. For me it has been important to find a way to motivate the children and young people who are my patients to answer questions every day for a long time. Medipal is a technical solution,which makes them think it’s fun to fill in the answers. 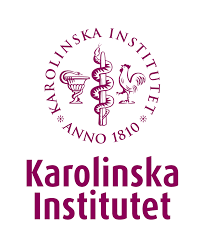 Senior lecturer and Senior dentist, The Department of Dental Medicine (Dentmed) at Karolinska Institutet. With Medipal, we avoid the problem with surveys that are not fully completed. How the patient is feeling is an experience here and now. Therefore, it is crucial that we as a healthcare professional, via the Medipal system, can see the patient’s response, as it has been given at a specific time, to better follow up and more quickly evaluate the treatment.